I have just been loving our style features this year especially when it comes to Fall decorating. I hope you didn’t miss our gathering of Halloween decorating ideas as well as fun items to upcycle for your Fall decorating needs! Today I want to talk about dressing up a doorway, mirror, window, wall, or frame in your house. Ever since I began piecing together my first wreath for holiday-giving when I was in high school, I have really appreciated the beauty of a well-dressed door. 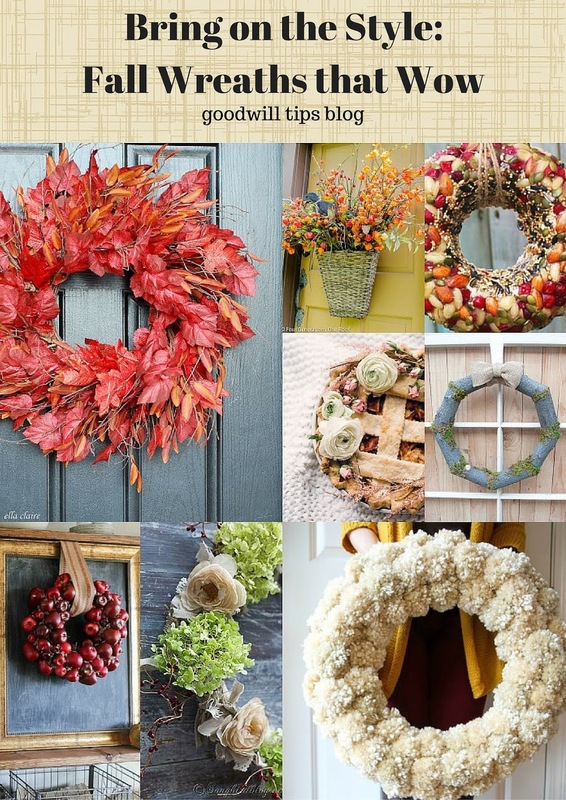 It doesn’t have to cost a lot to create a beautiful wreath and I have a stunning collection to share with you today of unexpected ways to decorate. Just as a reminder, Goodwill often has donated wreaths and various floral decor that is donated. It’s a great place to start gathering items for your wreath projects and it is always a fun place to check for an unexpected detail. Never ever feel limited by the colors you might find at your Goodwill Store because chances are really great that you can utilize a product like Rit Dye or even items in your pantry to achieve the colors you are after. Songbird Blog shows you how she utilized tea to stain white roses into the natural hues she was after. I love this so much that I can’t wait to try it on a wreath of my own! One of a decorator’s best kept secrets is the ability to achieve full wreaths without spending a lot of money by simply stacking them together. I did this one year with Christmas greenery wreaths by wiring the two together to create the optical illusion of an expensive wreath. Ella Claire shows you how to wire two wreaths together to do this with two thin wreaths to make a full and visually stunning wreath for your front door. 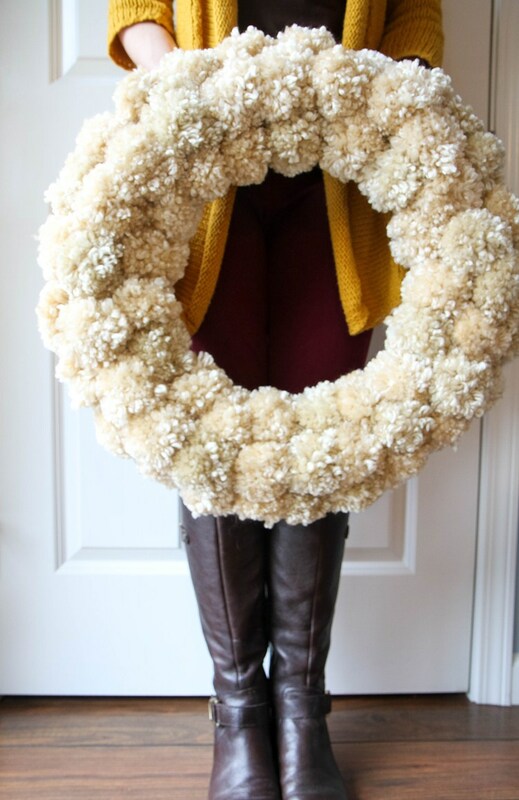 Consider buying not one, but two wreaths to create the look you are after! Wreaths don’t just have to be on doors, in fact, imagine adding a wreath detail to a wrapped gift or homemade treat. 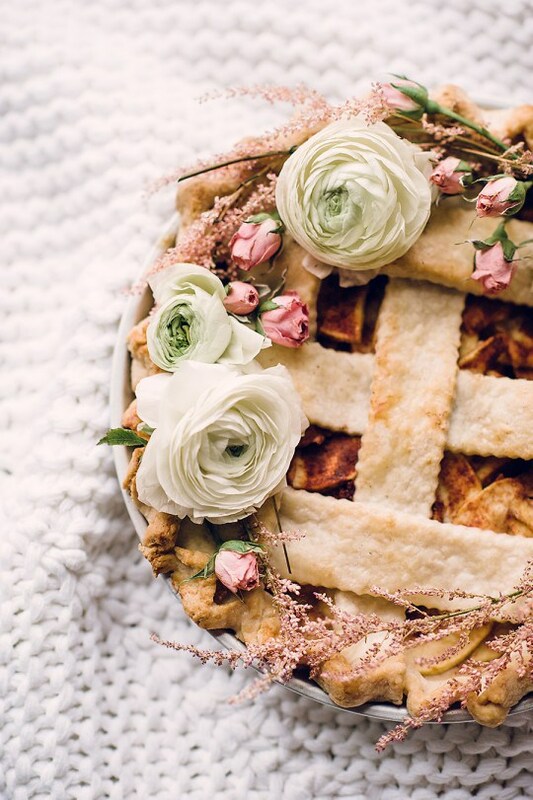 Proper shows you how she takes a beautiful homemade pie to another level altogether with a quick handmade wreath detail to shape over it. What hostess wouldn’t be wowed by this charming pie? Be sure to check Goodwill’s housewares section for beautiful pie tins that you can place your pies in for gift-giving! 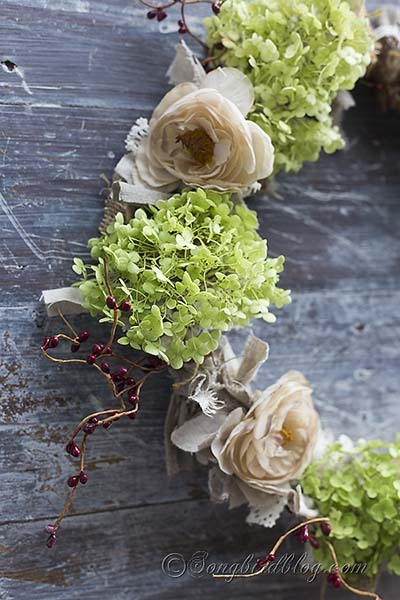 Wreaths don’t need to boring and flat, in fact, some of the most beautiful wreaths incorporate fluffy feathers, burlap textures, felted details, and yarn. One of my favorite projects I have done for my own home was to replicate a ridiculously expensive Anthropologie pom-pom wreath into a beautifully affordable handmade detail for our home. You can get the scoop on how I made this with some inexpensive yarn and a few Netflix binges. I still count this as one of our favorite things in our home and love its cozy warmth all year-round! 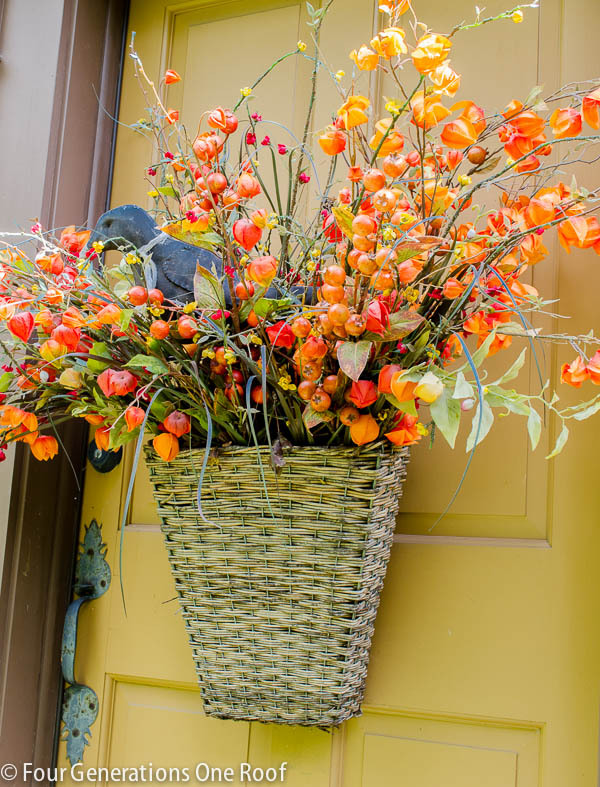 Not everyone is an arranger of wreaths so I love the idea of adding that floral detail with a basket instead of a wreath form. Four Generations One Roof adds a beautiful floral decoration in a small basket that hangs on her door. Luckily for you, Goodwill always has loads of baskets to choose from that can be spray painted or left natural for your door decorating needs. How fun is that? 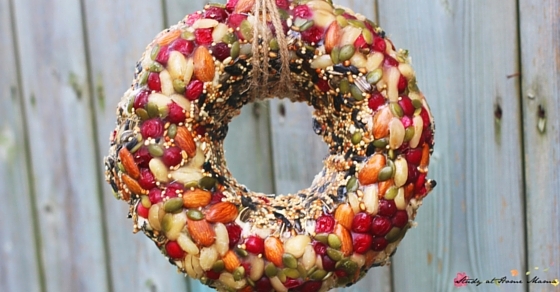 I can’t even begin to tell you how inspired I am by this beautiful bird seed wreath made at Study At Home Mama created with her kiddos for their birds. What a thoughtful project to partner with learning about wildlife or for a day of bird-watching. I hope to try making one of these with my kids this winter for our birds! There is nothing I love more than a vibrant pop of color with an unexpected texture and The Wood Grain Cottage achieves both with this beautiful apple wreath. I love how she weaves in natural elements to fill out the holes around these apples to create a cohesive piece. This would be one apple gift that a teacher really would love too when thinking of gift-giving for the holiday season. 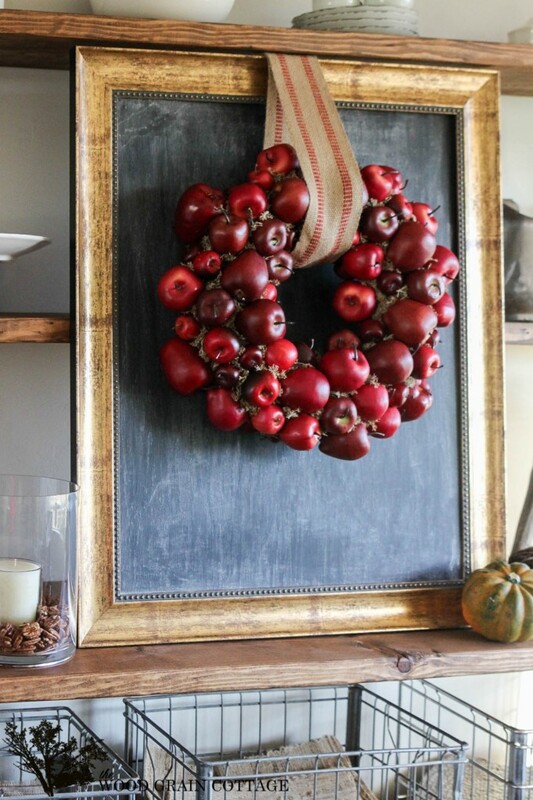 Be sure to check the store for a wreath form that you can repurpose from Goodwill. 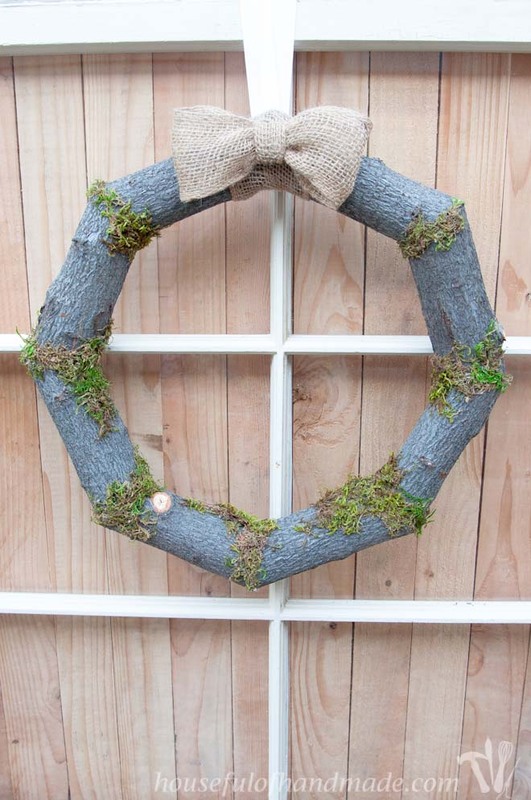 Don’t want to spend a lot to create the perfect wreath? Consider hunting around the backyard for the perfect materials. House Full of Handmade made this incredible wreath out of her neighbor’s castaways when they had a tree cut down. I love the idea of filling in these details with a little moss from the craft store! Be sure to head to her blog to see how she secured these heavy materials! 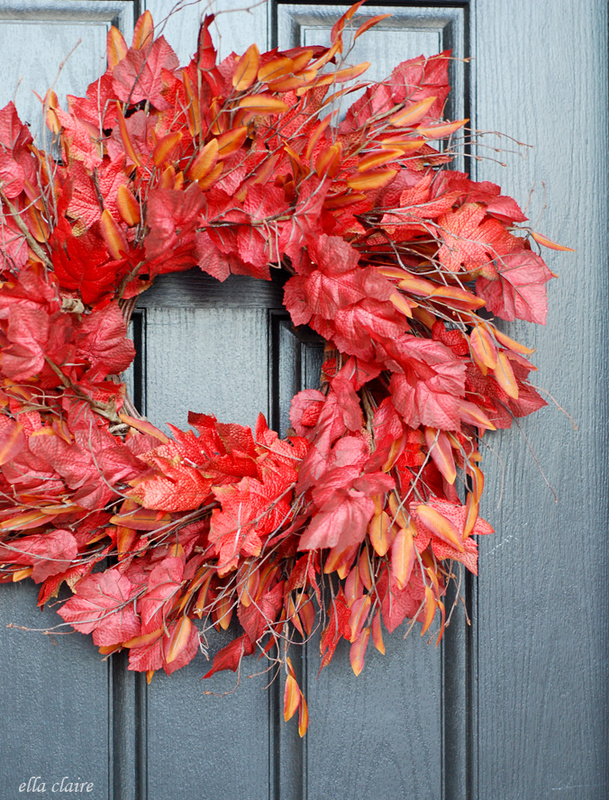 I hope these ideas inspire you to get crafting for your own front door! Be sure to leave us a comment and let us know your favorite ways to dress a doorway!